RigLock® by Renegade: Safety and efficiency in multi-stage fracs. How do you increase profitability of fracking oilfield and gas wells while simultaneously improving working conditions and safety? In the past, productivity and safety were a trade-off. Thanks to a revolutionary development in wireline operations, however, frac pads are breaking production records with far less risk to workers. This new innovation comes from the collaboration of Renegade Wireline Services and the quality driven team at FHE (Frank Henry Equipment). The revolutionary device is called RigLock®. The RigLock® remote actuator makes rigging up and rigging down with a hands-off procedure which means frac operations continue uninterrupted which speeds up overall well completions time. The innovation doesn’t stop there. With its unique piston and cam construction, RigLock® uses six primary locking cams to fasten pressure control equipment to the wellhead. A secondary mechanical locking ring seals the cams, even if hydraulic power is accidentally lost. The fastest way to comprehend how RigLock® functions and where it is used in the hydraulic fracturing process is to watch our simple, short, professional videos. When oil and gas service companies rent a RigLock® package from Renegade, Renegade sends two trained technicians with the equipment to ensure the successful deployment of RigLock® on your site. Now Frac Doesn’t Wait on Wireline. 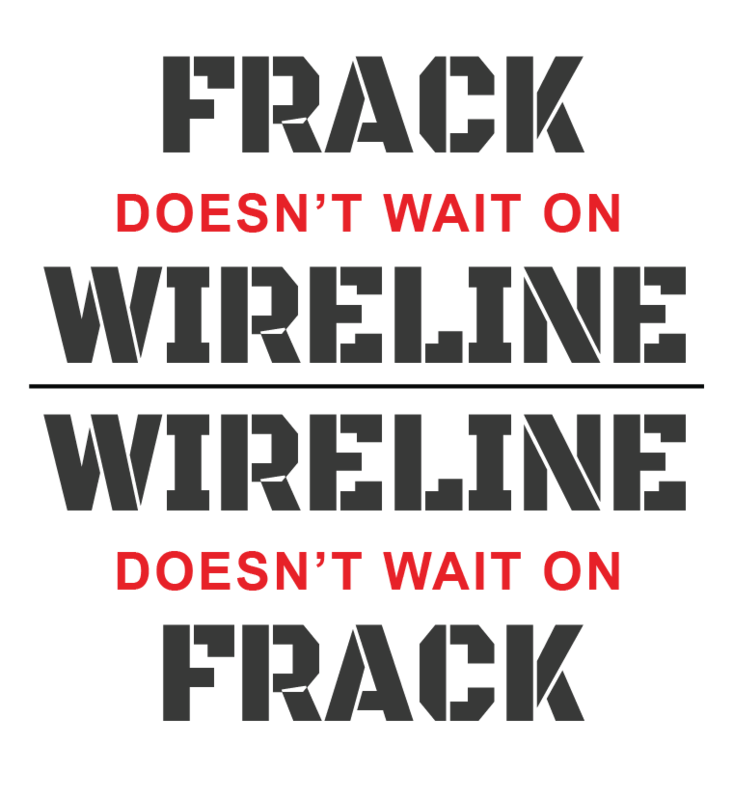 Wireline Doesn’t Wait on Frac. With the flip of a switch, RigLock® streamlines wireline operations on frac pads. On zipper pads, with a RigLock® on each wellhead, operators can save hours of time by quickly, easily and remotely connecting, disconnecting and moving wireline tool strings. Hands-free rigging up and down means frac operations never stop. It features a quick test manifold and a 2-inch 1502 pump-in sub port for added convenience. The RigLock® control unit operates the primary and secondary locking system, the quick-test manifold, and also integrates a digital well monitoring system. RigLock® is the industry’s only remote, hands-free connection. During cased-hole completions activity, there is typically significant down time that is very costly to wireline companies. Because frac operations can not progress with a man in the red zone, RigLock® greatly reduces down time thus making the well more profitable for the E&P companies. By removing an employee from the most dangerous part of the job, companies send a clear message to their employees that they care about worker safety. In this case, safety pays off. Discover how RigLock® improves safety on a frac pad. Case Study: Marcellus Shale Frac Site Set Operations Records with the Renegade RigLock®. The completions activity on a well site is one of the most important stages in cased hole operations. We understand the challenges. An engineer’s objective for optimal and safe well performance is made easier by the successful implementation and operation of RigLock®. Renegade Wireline Service is uniquely positioned to deliver this ground-breaking technology to your site. As the industry-innovators in this space, we collaborate with you to create the optimal environment for RigLock® so you can achieve the outstanding results possible. Endorsed by Shell Appalachia, RigLock® is at the forefront of this industry-changing equipment. With the tremendous ramp of RigLock® systems deployed on locations in the last two years, we believe this product will become the industry standard in the completions process in the near future. Renegade will deliver a RigLock® package to your site. With service locations across the major US oil and natural gas plays, Renegade is prepared to get RigLock® to your pad quickly, pending a review of project details and consultation. We are eager to hear from you. How many well heads can RigLock® operate on at the same time? There is no minimum or maximum number of well heads we can operate RigLock® on at the same time. In most cases, we recommend a RigLock® for each active wellhead.